They read in simple, repetitive sentences with a date, location, name, age and cause of death. It is a seemingly endless list of those killed and maimed in Iraq by weapons supplied by Iran and used in attacks on the U.S. military. On April 4, 2004, in Baghdad, Army Spc. Robert Arsiaga, 25, was killed in a combined attack in which members of the Mahdi Army hit his unit with rocket-propelled grenades and small arms fire. 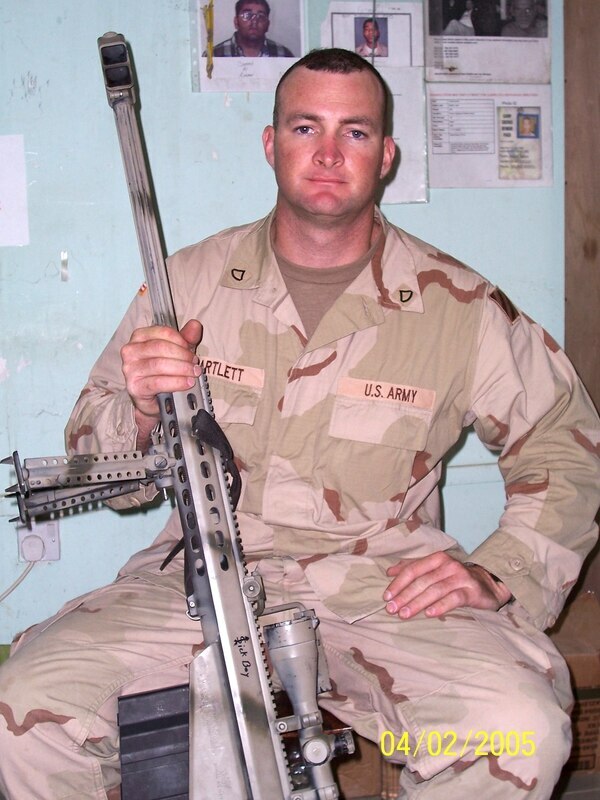 On Sept. 8, 2009, in Tikrit, Army Spc. Zachary Myers, 21, was killed when an EFP detonated near his vehicle. On Nov. 14, 2011, in Baghdad, Army Spc. David Emanuel Hickman, 23, was killed when an EFP detonated near his vehicle. These are only a sample of the deaths. There are more than 100 pages in the federal court documents, full of details of wounds, surgeries and trauma. Their words carry legalistic accounts of 90 attacks that caused internal bleeding, collapsed lungs, severed heads, missing hands, arms and legs, brain injuries, third-degree burns on necks, faces and hands, suffering that persists in the victims and reverberates beyond those struck in the blasts, cascading waves of pain into the lives of wives, husbands, parents and children. Those attacks are the subject of a three-day trial in federal court that begins Monday. 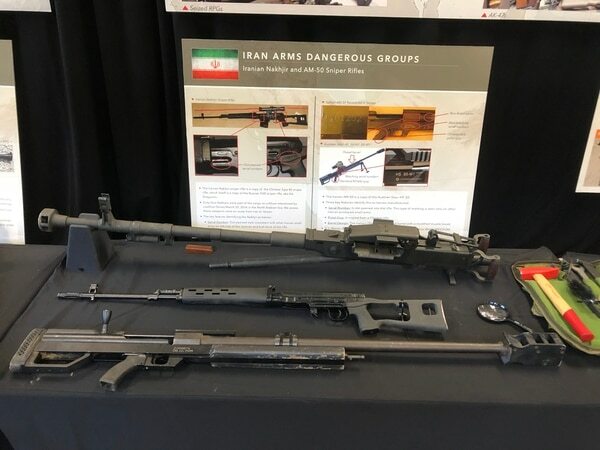 It is a trial in which a small New Jersey law firm and a lawyer out of Arkansas are trying to hold the Islamic Republic of Iran accountable to the tune of $10 billion for weapons, materials, training and other support that led directly to the death or mutilation of more than 1,000 U.S. troops from 2004 to 2011. But this will not be similar to trials most are familiar with, where two sides argue to a jury. Iran has no attorney defending it in court, and there is no jury. The plaintiffs’ attorneys in this instance will argue their case straight to U.S. District Judge Colleen Kollar-Kotelly. 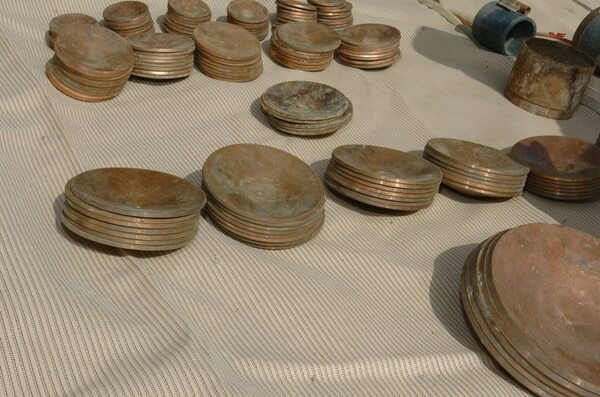 From grenades to short-range ballistic missiles, items recovered across the Middle East are on display in Washington. At some point following the three-day trial, she will make her ruling, as to whether the work that’s been put into this case since its 2016 filing has met the legal standard to hold Iran accountable. If the victims prevail, it will set them on a path to be eligible for compensation from a fund that collects money related to terror activities from banks involved in related schemes, negotiations between states and fund seizures. And stating that case will involve at least 19 witnesses, including experts on Iran, explosives, orthopedic surgery, TBI, PTSD, military operations, and victims themselves. And to bolster that testimony, attorneys have already or will introduce at trial 174 exhibits that include U.S. documents linking Iran to its support for terror groups, radical Islamist leadership rosters, U.S. military reports on the attacks and forensic reports of their aftermath. Though this court case has been working its way to this trial for two years, it is arriving at a time when President Donald Trump has restarted sanctions against the Iranian regime. 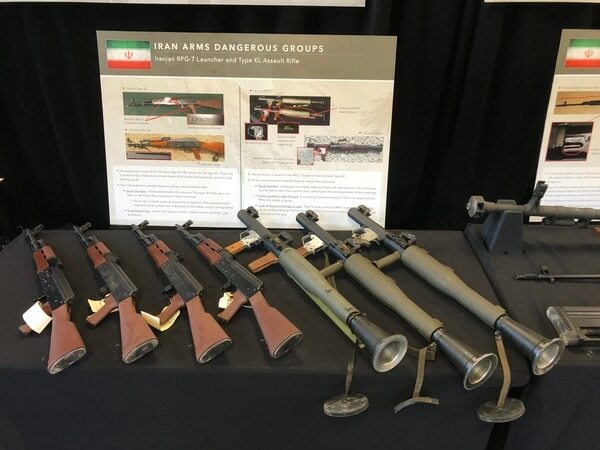 It comes a week after journalists were shown displays of weapons ranging from assault rifles to ballistic missiles that have been captured or retrieved from Iranian-backed groups in Iraq, Bahrain, Yemen and Afghanistan. There is a variety of ways in which the attorneys allege that Iran supported insurgent groups within Iraq, but one measure contributed the most damage and is also one way experts say is easily traceable to the regime. Most, but not all, were the result of a special kind of weapon and explosive device fitted with an explosively formed penetrator. The EFP became the way insurgents and terrorists in Iraq could strike at otherwise protected U.S. forces. But they were not the kinds of weapons that could be built in a ramshackle garage. They required more sophisticated engineering knowledge than what was being seen in the often deadly, but less effective, homemade improvised explosive devices that littered the landscape after the 2003 invasion of Iraq. 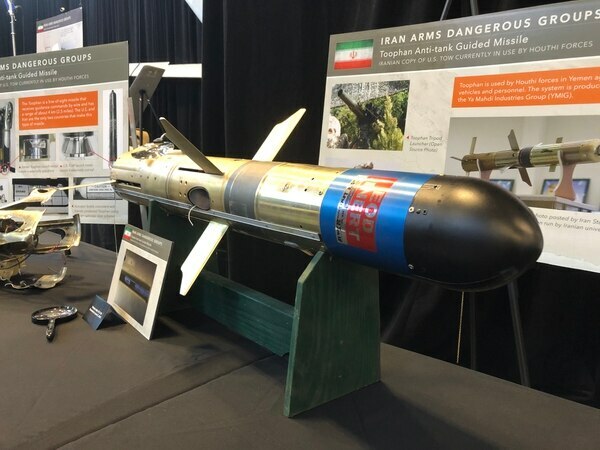 “If an EFP was used in attacks, we can reliably trace these back to Iran,” said Peter Raven-Hansen, law professor at George Washington University. Raven-Hansen said that by laying out the evidence in court, the attorneys hope to factually confirm what the U.S. military has long known, but something he doesn’t think the public has been aware of, which is Iran’s role in the systematic killing and maiming of U.S. troops. The lawsuit is seeking $10 billion in damages from Iran. But if or when any of the victims or their families could receive any compensation is a long time away. There are nearly 6,000 victims of state-sponsored terrorism believed to be eligible for compensation recouped from a fund set up for numerous cases. Other cases filed by the Osen law firm, attorney Tab Turner and others have attacked large-scale financial institutions for their involvement in moving money from Iran through U.S. banks, which they allege was then funneled to Iranian proxies who carried out attacks. One such case being pursued by Osen remains active in federal court in New York since its 2014 filing. The lawsuit specifically alleges that HSBC, Standard Chartered Bank, Barclays, Commerzbank, Credit Suisse, Bank Saderat and Royal Bank of Scotland, N.V. conspired with Iran and its banks to illegally transfer billions of dollars through U.S. banks, circumventing regulators and law enforcement detection of the transactions. Attorneys allege that hundreds of millions of dollars in those transactions were funneled to the Islamic Revolutionary Guard Corps-Quds Force, a military wing that conducts operations outside Iran, and terrorist organizations such as Hezbollah who carried out attacks that killed and maimed U.S. troops and civilians in Iraq. That case has the advantage that nine banks so far have admitted to the conspiracies, most in “deferred prosecution agreements.” In many of those agreements the banks have agreed to pay the U.S. government fines and forfeit billions of dollars for the violations. In 2012, HSBC admitted to its role and agreed to forfeit $1.25 billion; Credit Suisse agreed to forfeit $536 million; Commerzbank AG agreed to pay $1.45 billion; Standard Chartered Bank reached a $340 million settlement; and Barclay’s forfeited $298 million in connection with its violations. The actions behind those forfeitures involve Iran, Sudan and Cuba, which are other nations covered by the Anti-Terrorism Act. The act restricts money dealings with state sponsors of terror and terrorist groups. By taking the deferred prosecutions and admitting to the charges, the banks avoided further prosecutions and additional penalties. A Chicago-based firm, MM-Law, filed a suit against Iran and Sudan for the 1998 embassy bombings in Nairobi, Kenya, and Dar Es Salaam, Tanzania, which killed 224 people. Both firms have tried and are in the process of trying multiple cases involving terrorism victims. That case showed that Iran, through Hezbollah, gave training and assistance to Osama bin Laden and other al-Qaida members to conduct the attacks. Plaintiffs asked for $35 billion. In 2014, a federal judge ruled in favor of the plaintiffs and awarded nearly $8.5 billion. Attorneys with the MM-Law firm helped with the creation of the U.S. Victims of State-Sponsored Terrorism Fund, which has paid out $1.1 billion to victims to date and another distribution of that same amount is planned in the coming year.